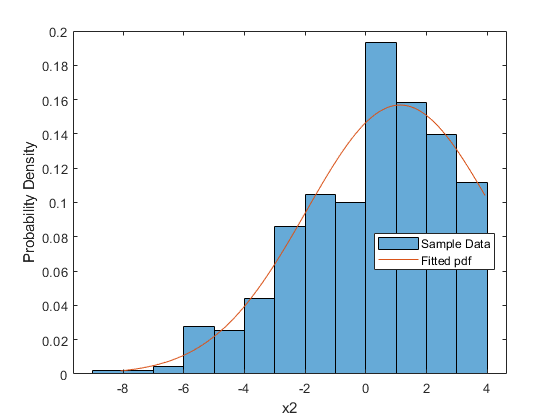 Fit probability distributions to sample data, evaluate probability functions such as pdf and cdf, calculate summary statistics such as mean and median, visualize sample data, generate random numbers, and so on. 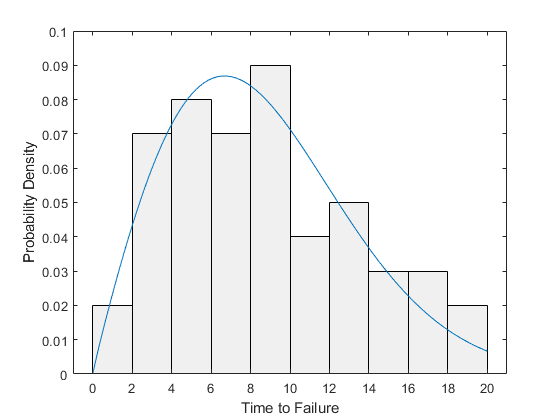 Work with probability distributions using probability distribution objects, command line functions, or interactive apps. For more information about each of these options, see Working with Probability Distributions. 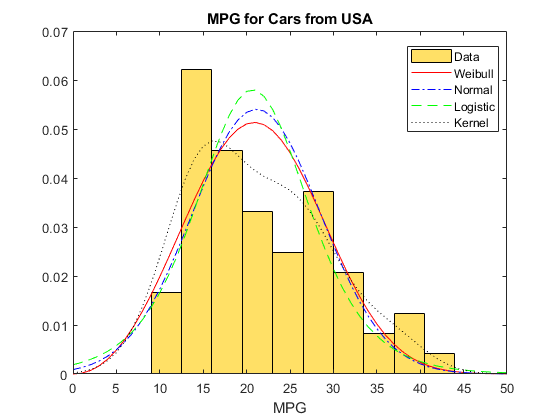 Perform curve fitting and distribution fitting, and discusses when each method is appropriate. Fit univariate distributions using least squares estimates of the cumulative distribution functions. 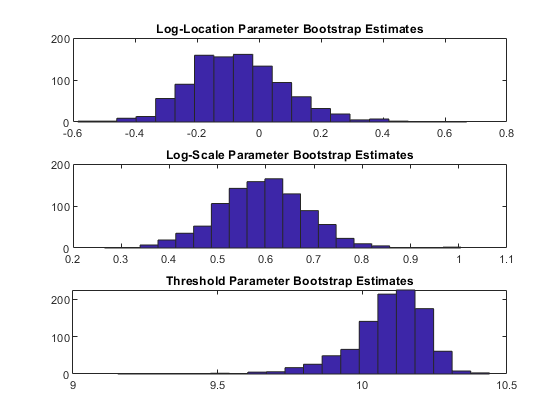 This is a generally-applicable method that can be useful in cases when maximum likelihood fails, for instance some models that include a threshold parameter. Use the Statistics and Machine Learning Toolbox™ function mle to fit custom distributions to univariate data. 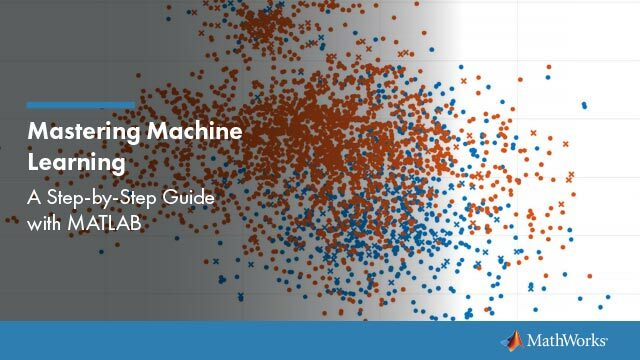 Use some more advanced techniques with the Statistics and Machine Learning Toolbox™ function mle to fit custom distributions to univariate data. 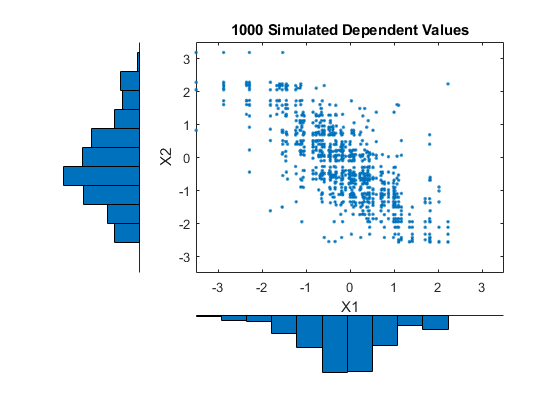 The techniques include fitting models to censored data, and illustration of some of the numerical details of fitting with custom distributions.